The Travel Plan / Westpac Northern NSW Interschools took place last week in ideal conditions at Perisher. 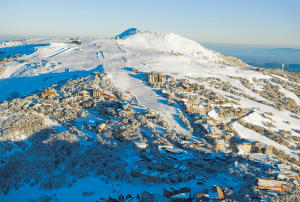 This week the Sydney Champs Interschools rolls into Thredbo. With fresh dry snow falling last week the Northern NSW Interschools events on Wednesday to Saturday had excellent cover. 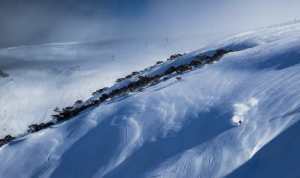 Events included snowboard cross, snowboard giant slalom, moguls and alpine. The number of entries increased this year by 100 bringing the total entries to 1,700. All events at Perisher were held on Front Valley making easy access for both athletes and spectators. Many students compete in several events so having the courses in close proximity helps avoiding missed starts and creates a carnival atmosphere with different events happening simultaneously. 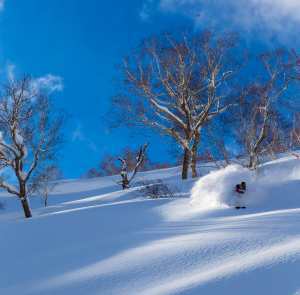 Conditions were perfect with fresh snow and cold temperatures persisting through the week. 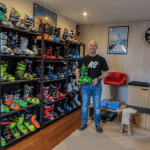 This made for a fun and safe competition allowing skiers and riders to perform to their ability. The Australian Interschools program could not function with out the help of volunteers. School teachers along with mums and dads all donate their time and energy to insure the events are run safe, fair and on time. Interschool events require about 12 volunteers on each course and with 18 courses that equates to approximately 200 volunteers. Successful teams and individual athletes will be selected to participate at the NSW State Championships to be held at Thredbo August 25 – 28. From this event students will be selected to attend the Subaru Australian Interschool Championships at Falls Creek September 7th – 11th. The winner of the Mountainwatch Interschools Snowsports Scholarship will also be announced with the winners receiving a two-week training opportunity at both Big White and Silver Star Resorts in British Columbia, Canada. 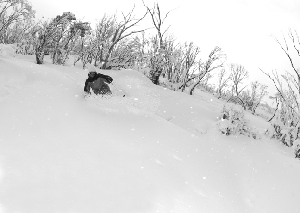 The Australian Interschools represents the cornerstone of the Australian snowsports development pipeline. This year Ski & Snowboard Australia won 4 FIS World Championship titles with each athlete receiving their start at the Interschools level. 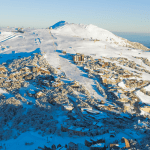 According to Mountainwatch conditions this week look great for the kick off of the Sydney Championships Interschools events to be held at Thredbo.